My journey began as I met my daughter in London and flew into Milan for 2 nights before the tour started. We flew into the small airport in Milan, Linate, and took a short, relatively inexpensive taxi ride to our hotel, the Chateau Monfort – 5 star hotel, centrally located in Milan and within easy walking distance from the Duomo, Milan’s grand Cathedral. The next morning, we joined a free walking tour, which was a great way to see glamorous Milan. The window shopping in Milan has to be the best in the world with Louis Vuitton, Prada, and Armani, just to name a few of the designer shops located in the glorious Galleria Vittorio Emanuele II. It was magnificent! 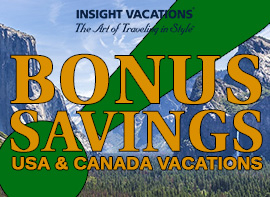 Our Insight tour, Italian Intermezzo, was to start in Lake Como and end in Rome. Our transfer was from Milan’s Malpensa Airport, so we took a tram to the central rail station and train to the airport to meet the Insight motor coach Tour Director, Debra and driver, Titiziano. 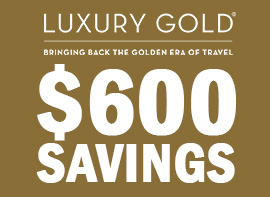 Taxi or private transfers from Milan to the airport are approximately $100 to $150. The train was easy to navigate, so we could have easily just taken the train from the central train station in Milan to Lake Como. 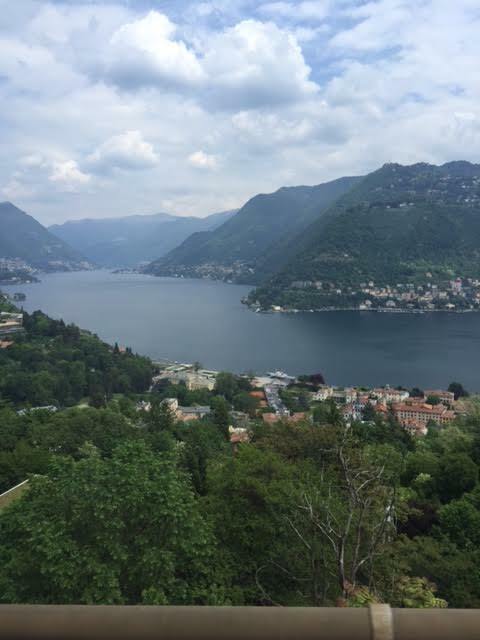 The comfortable motor coach had only 40 seats, and in about a half an hour, we got our first view of Lake Como, and it was spectacular! Our hotel was in the center of town, with a great view of the Lake. We got to enjoy a boat ride around Lake Como with the elaborate historical villas that line it, and even saw George Clooney’s Villa. The welcome dinner was wonderful and the first introduction to our new friends for the next 10 days. We had 39 traveling companions, all originating from around the world. They were from New Zealand, Australia, Canada, Philippines and all over the US. On our route to Venice, we stopped in Verona and stood beneath the balcony in the courtyard of Juliet’s house, where Romeo stood professing his love to her. Verona is elegant and has a well-preserved Roman Arena that is still used for opera performances. We then enjoyed shopping at a local market, and dined on the delicious sandwiches and gelato. After some free time, it was on to the glorious city of Venice. The motor coach parked at the boat dock in Venice and we boarded our water taxi to take us to the hotel on Venice Island. 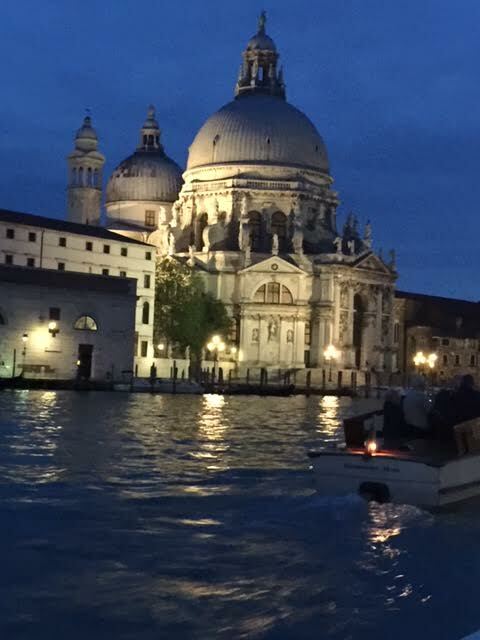 We then experienced a musical performance in St Mark’s Square, and a boat ride through the Grand Canal, with the gorgeous Murano glass chandeliers shining in the windows of the grand villas all along the Canal. It was breathtaking! A visit to Venice is not complete without a Gondola ride, which was wonderful, as were the views of Doge’s Palace and its adjoining Bridge of Sighs. 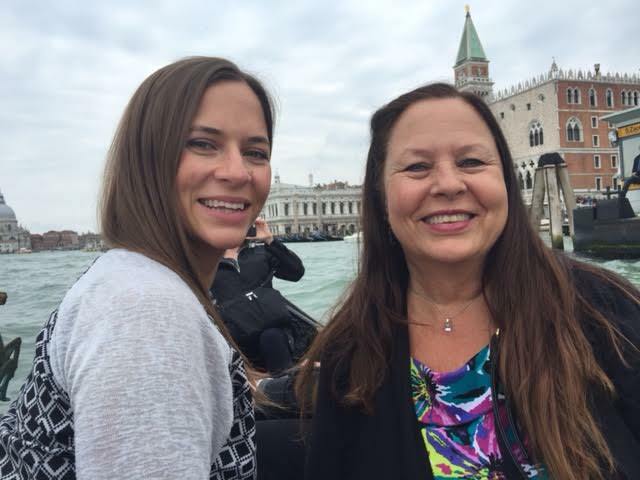 My daughter and I even had time to get lost in the streets and bridges of Venice, and soak up the charm of this beautiful island and bridges. We then viewed a glass blowing demonstration at the Murano Glass factory and had an opportunity to purchase some authentic Venetian glass. 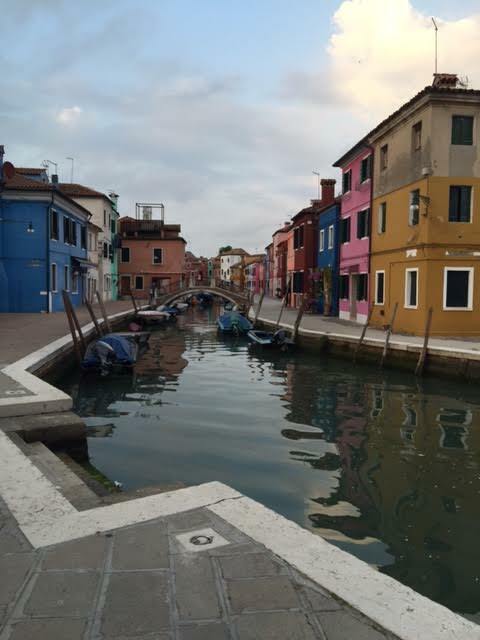 That evening, we took a boat ride to the quaint island of Burano, with its colorful houses, leaning tower and handmade lace. We dined on a delicious dinner of local seafood. The next morning, we took a water taxi to the parked motor coach, and we were on our way to Florence with a stop in Pisa to see the world famous Leaning Tower in the “Meadow of Miracles,” and the 11th century cathedral and baptistery. 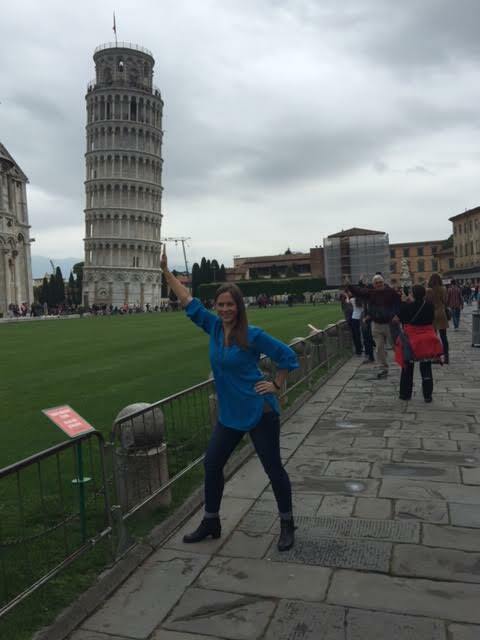 We couldn’t pass up taking a popular tourist picture….holding up the tower. On arrival in beautiful Florence, we met a local expert for a walking tour of this historic center. This began with a visit to the Academy Museum to admire Michelangelo’s masterpiece “Statue of David.” We then took in the beauty of the marble -clad cathedral and baptistery, where Ghiberti’s “Gates of Paradise” have been recreated. Signoria Square was filled with Renaissance sculptures and we learned about traditional Florentine leather-work. We also got a lesson in the famous wines of the Tuscan region, with a wine tasting of Chianti, Brunello di Montalcino and Montepulciano. There was some free time to fully immerse in the Tuscan capital of Florence. We shopped for leather goods at the markets around Santa Croce and soaked up the atmosphere of the street cafes. In the evening, we ventured into the vineyard filled hills of Tuscany for an authentic dinner with wine and entertainment. We took in beautiful vistas in the Tuscan hills and spectacular food and wine. Our tour then traveled through the vineyards of the Chianti region, past Lake Trasimeno – the Italian Peninsula’s largest lake. We climbed into the foothills of the Apennine Mountains to delightful Assisi, a stone built town spilling over the steep hillside. There was a visit to the tomb of St. Francis to see the beautiful frescoes by Giotto in the great Basilica. We enjoyed shopping at a local deli shop, indulging in tasty sandwiches with cured meats and aged cheese paired with a delightful glasses of wine. It was a perfect stop on our way past the River Tiber toward the ‘Eternal City of Rome. Dinner in Rome was pizza, pasta and wine with a wonderful view of the Colosseum and then an evening drive around Rome for viewing of the beautiful St. Peter’s Basilica and all the ancient architecture in lights. Simply spectacular! The next morning began with a visit to the Vatican State through the VIP entrance into the Vatican Museums. We admired the vast collections of ancient and Renaissance art, gathered by Popes over the ages and enjoyed the behind-the-scene viewing of the Bramante Staircase. I couldn’t stop gazing at and admiring Michelangelo’s famous painted ceiling in the Sistine Chapel. We then saw the ancient Colosseum, but due to the rain in Rome, the tour had to cancel the guided walking tour and the visit to St. Peter’s Cathedral. 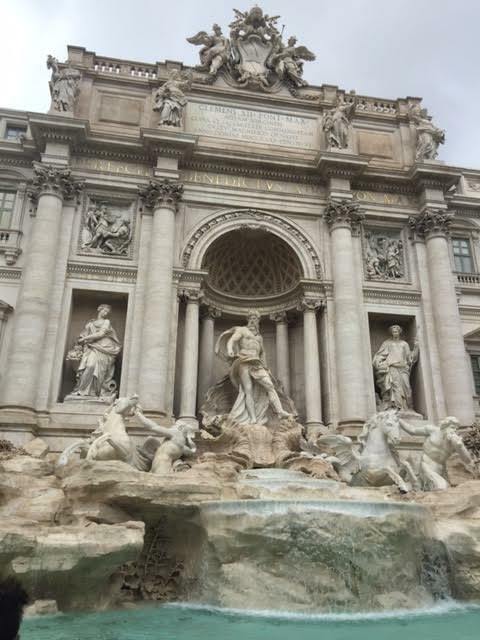 However, we were able to walk around on our own and visit the Trevi Fountain, where we threw in 2 coins to ensure a wish come true, then returned to the city and the Pantheon. Every turn in Rome reveals another magnificent view of ancient ruins, beautiful buildings, cafes, squares and fountains. I could definitely have used another day or two in Rome. Our farewell dinner was fabulous, as we bid our new found friends Arrivederci, and celebrated the end of a fantastic 10 days through Italy. We were treated to an operetta while we dined! The Italian Intermezzo was a fantastic itinerary and tour. 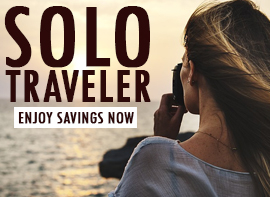 I strongly recommend taking advantage of all the optional excursions offered, as well as arriving a day early to enjoy Milan,and staying a day longer to ensure you have time to enjoy all Rome has to offer. I am definitely going back soon!